BotoxⓇ is one of the most popular cosmetic treatments available today, and with its convenience and effectiveness, it’s no wonder millions of people seek this treatment each year. At EVO Aesthetic Center and Wellness Spa, they offer this simple, effective treatment for wrinkles that you can have done on your lunch hour. To find out if Botox is right for you, call the Lakeway, Texas practice or book an appointment online today. Botox is one of the most popular anti-aging treatments available today. Botox injections help reduce or eliminate the appearance of facial wrinkles, especially forehead wrinkles, frown lines between the eyebrows, and crow’s feet around the eyes. This simple procedure can give you a younger appearance and a boost of self-confidence; plus, it can be completed during your lunch break. What can you expect during a Botox treatment? 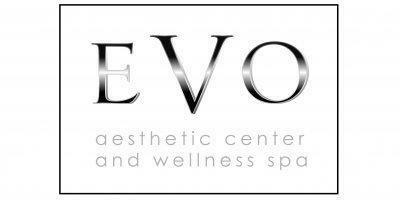 Before your Botox treatment at EVO Aesthetic Center and Wellness Spa will typically ask you to make a range of facial expressions so he can identify and mark the specific muscles responsible for the wrinkles you want to reduce. He will then inject a tiny amount of the botulinum toxin into those specific muscles. The toxin paralyzes the muscles, preventing them from contracting and creating wrinkles on the surface of your skin. After your Botox treatment, those wrinkles will diminish or disappear. Botox injections are virtually pain-free, but if you do have sensitive skin, EVO can provide a local anesthetic before treatment. What can you expect after a Botox treatment? You can typically expect the results of your Botox treatment to last between three and six months. Once the effects begin to fade, you can return for another treatment. If you receive regular Botox injections over an extended period, your muscles may learn to relax, and you will find that you need treatments less frequently to maintain your results. One great thing about Botox injections is that there is little to no downtime. The injections are done in the doctor’s office, and you can return to work or your normal activities immediately afterward. You should be careful not to scratch or rub the area for a few hours after your treatment since this can create redness or irritation. If you’re interested in tackling your fine lines and wrinkles with Botox, call EVO Aesthetic Center and Wellness Spa or book an appointment online today. What other injections are offered besides Botox?